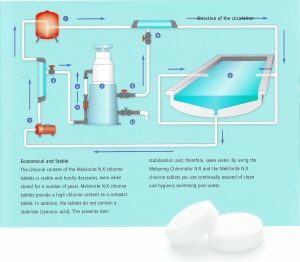 This chlorinator has been especially designed to be used with Melcorite N.X tablets (Calcium Hypochlorite) , controlling the free chlorine level in a practical way. It is a reliable system with an innovating concept to treat swimming pool water. 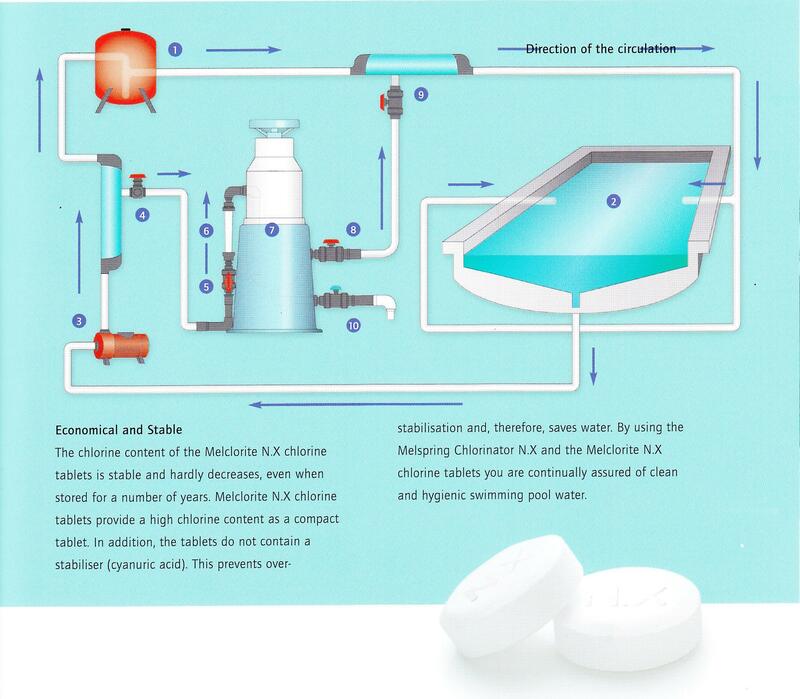 You will only have to fill the Chlorinator N.X with Melclorite N.X tablets and the treatment will take place semi-automatically based on manually made analyses. To ensure treatment is fully automatic, connect a solenoid valve that can be controlled using electronic measuring and control equipment. The concept is easy and does not require specific technical knowledge. The lid and the ball valves are easy to use. The Chlorinator will take up little space due to its compact design and this will increase the ease of use. 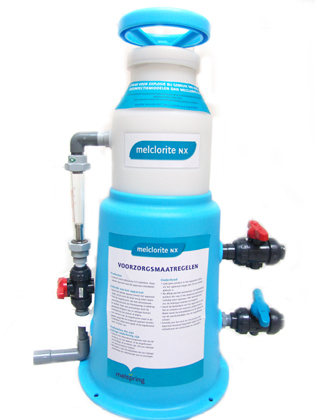 You will save a lot of water because the chlorinator uses non-stabilised chlorine.